Florence’s true Italian name is Firenze. Nestled in beautiful tuscany, it is the home of the Renaissance. 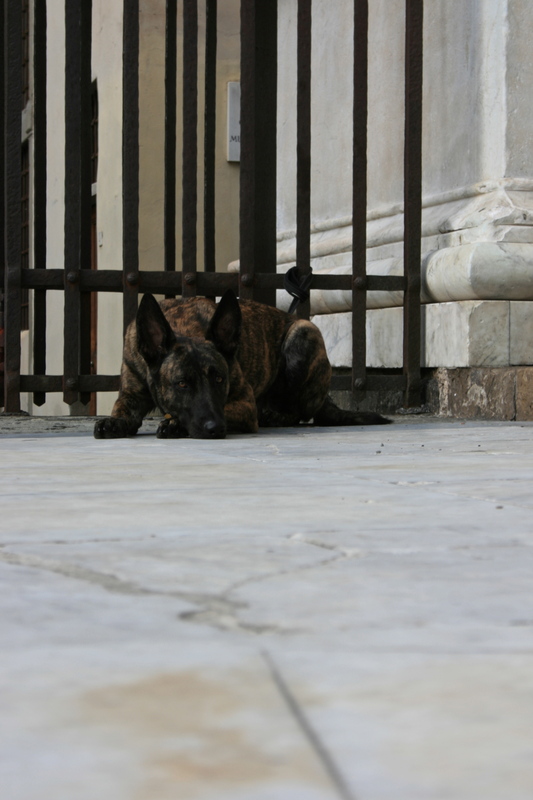 Dogs are loved and welcome in Italy. They are allowed inside most cafes and restaurants, but it is always polite to ask first. 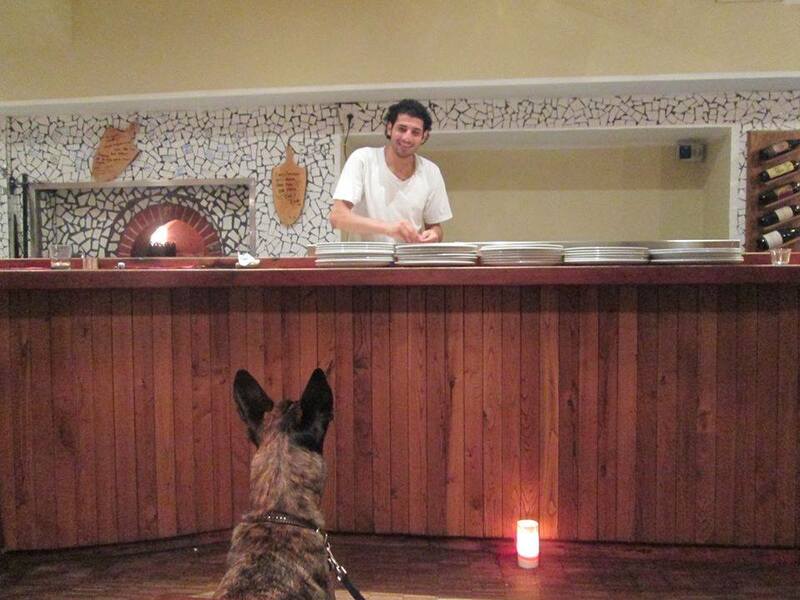 Usually Zala received better service than I did, in one restaurant she even got her own dish of cheesy pasta. This pizza man spent the evening tossing Zala ham. A popular place to visit in Florence is Palazzo Vecchio. It is located close to the Arno River. It is one of the more crowded areas of Florence partially because the Uffizi gallery is located here. The Uffizi gallery is known for its long waiting line and large collection of Renaissance paintings. The gallery opens at 8:15, and I suggest starting your day there. There is little to no line during the weekdays at opening time. Tickets are given with a designated time frame to enter and tour the museum. Here you can see many well known classics including those done by Leonardo, Botticelli, Raphael, and Caravaggio. 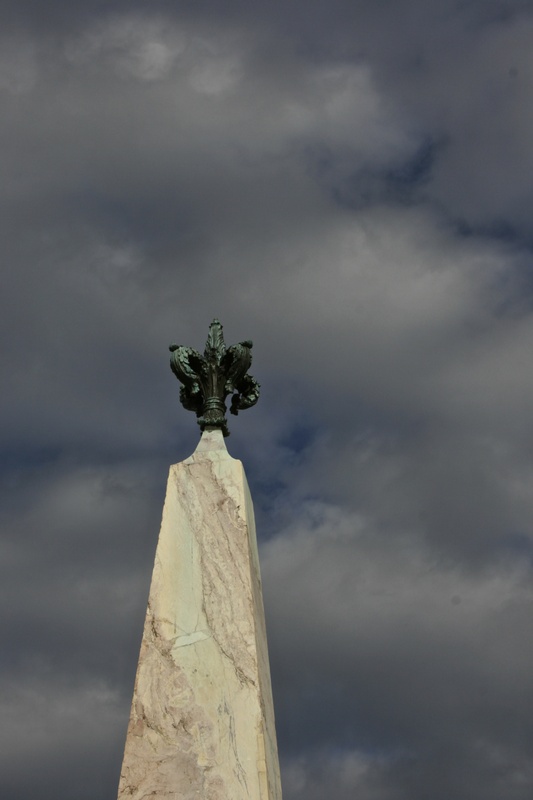 After you’re done, take a stroll across Point Vecchio. It is a stone Medieval arch bridge with (mainly jewelry) shops clustered along the sides. Now, what about Michelangelo’s statue of David? 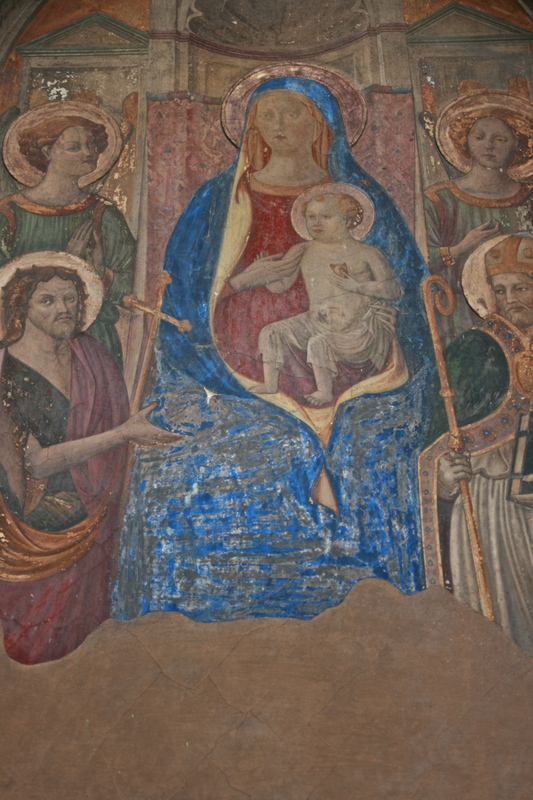 There is a replica at Palazzo Vecchio. Be sure to get all your photos done here because no photos are allowed of the real one located at the Galleria dell’Accademia. This gallery is small compared to the Uffizi or Louvre but worth your time. Down the corridor leading to the statue of David, you will walk past Michelangelo’s unfinished commissions. They are known as the Unfinished Slaves. In these larger than life mixtures of rough and smooth, Michaelangelo’s unfinished figures are twisting and straining to get out of their marble confines. The gallery ticket is worth every penny just to see these marble prisoners. The Duomo is an impressive sight to see, but it is also packed with tourists during the day. 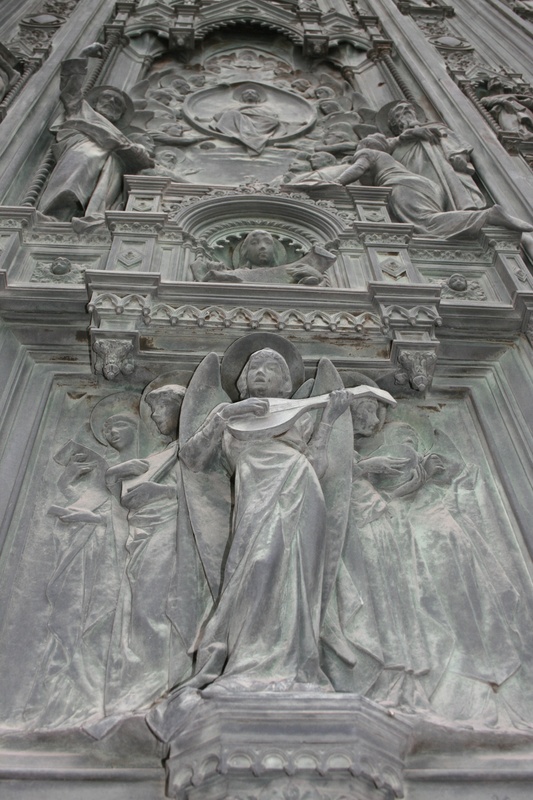 It is best to view the Duomo and the Baptistery in the morning or evening; you will want an up close view of the bronze doors of the Baptistery. 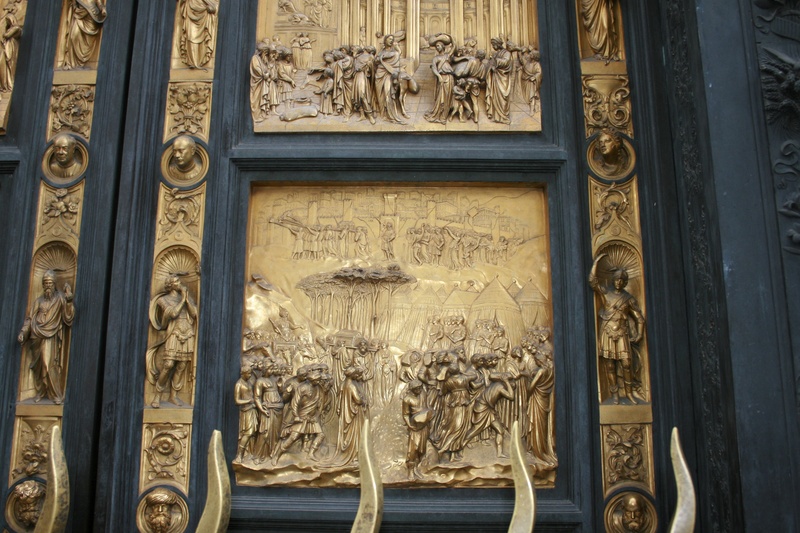 Reading up on the history of these famous doors is well worth your time. 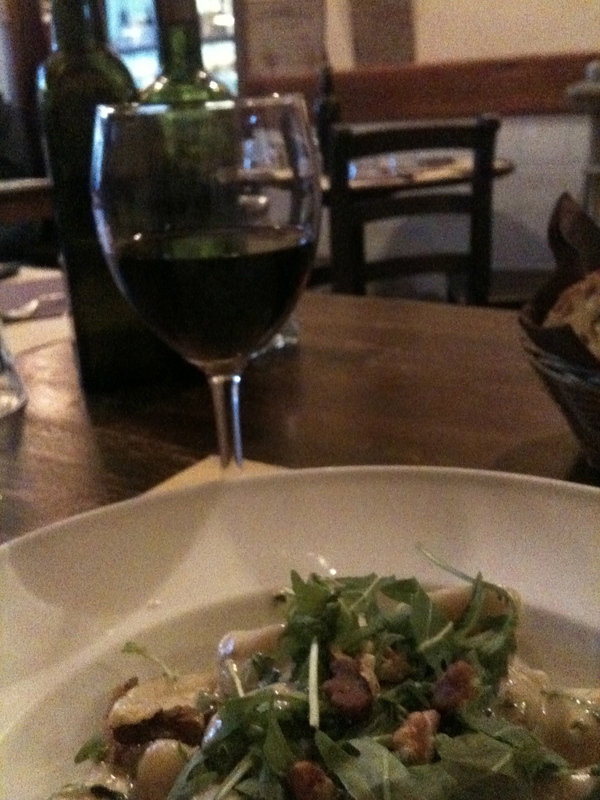 I do not advise anyone to order food or drinks near the Duomo or Palazzo Vecchio. You will be met with low quality for a high price. 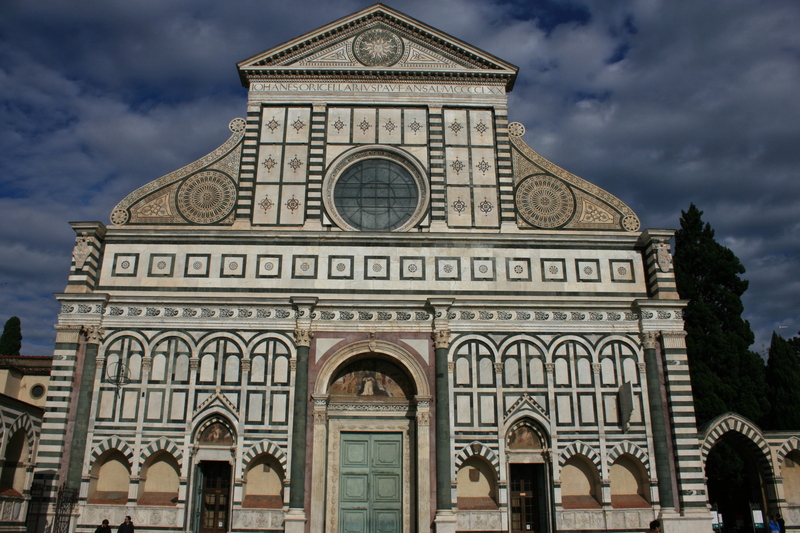 If you want to see more renaissance green and white architecture, go to Basilica di Santa Maria Novella. It is located by the train station. There are less tourists in this area. This is the only church I have come across that actually charges an entry fee. 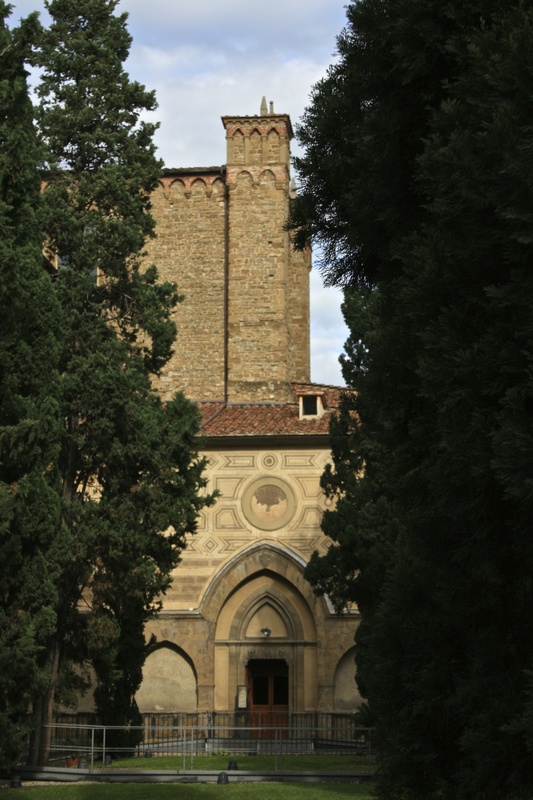 Around the corner from the Basilica is the Farmaceutica di Santa Maria Novella. It is one of the oldest pharmacies in the world. The interior is beautiful and well preserved with a fascinating history on its survival. The pharmacy now specializes in perfumes, creams, and soaps traditionally made and of very high quality. And as Dr. Lector said, ‘one of the best-smelling places on earth’. I was actually asked by the staff to bring my dog inside the pharmacy because ‘she looked sad’ outside. Feel free to bring your pup inside to explore the scents and wonders of the Farmaceutica di Santa Maria Novella. There are numerous cheap accommodations to be found in Florence. I use hostelworld.com to find most of my accommodations in Europe. Rule of thumb, hostels do not accept pets but hotels do. When a site does not state their pet policy or they only accept small pets, call and ask anyways. Many will make an exception for a large dog. You will get a better response (and sometimes price) if you start out in the speaker’s native language. Even if it is simply, “Ciao, parli inglese? (Hi, speak english? )” and “grazie(thank you)”. 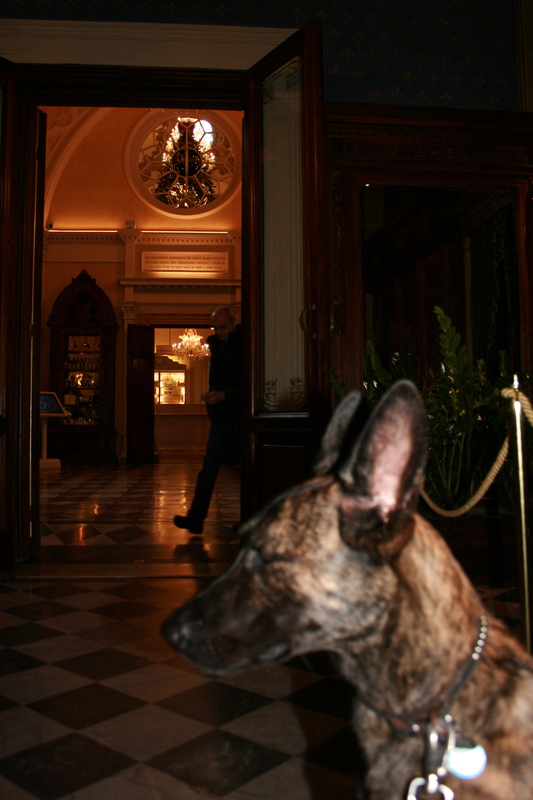 Zala and I stayed at Hotel Genzianella. It was cheap, clean, and it had free wifi. The staff is friendly, and they will automatically give you a map and share their local knowledge with you when you check into your room. And don’t forget to try a Tuscan Steak. 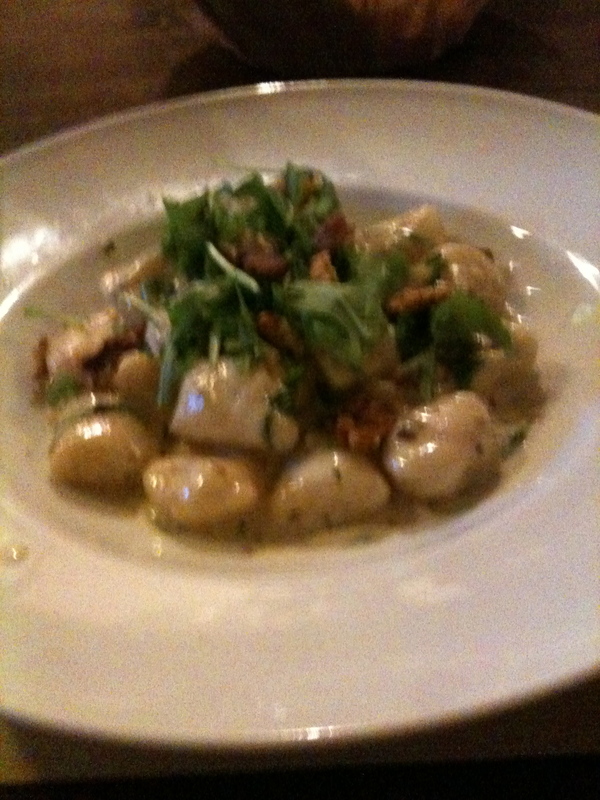 Preferably with my favorite pasta, gnocchi (Italian potato pasta) and of course, paired with a good Italian red wine. Awesome accounting of your time in Firenze! You go girt! Katrina gave me your blog address and I have truly enjoyed it. I applaud your verve, your determination to mold your life to fit you, and your search for memorable experiences. Jim and I spent two fabulous weeks in Italy with Katrina, a brief break from summer irrigating and ever-demanding livestock duties. I shall enjoy traveling to other places vicariously, with you. I hope you are doing some sketching, in addition to your photo journaling. Thank you very much. I’m glad you enjoyed it. I will be integrating my travel sketches into my blog in the near future.